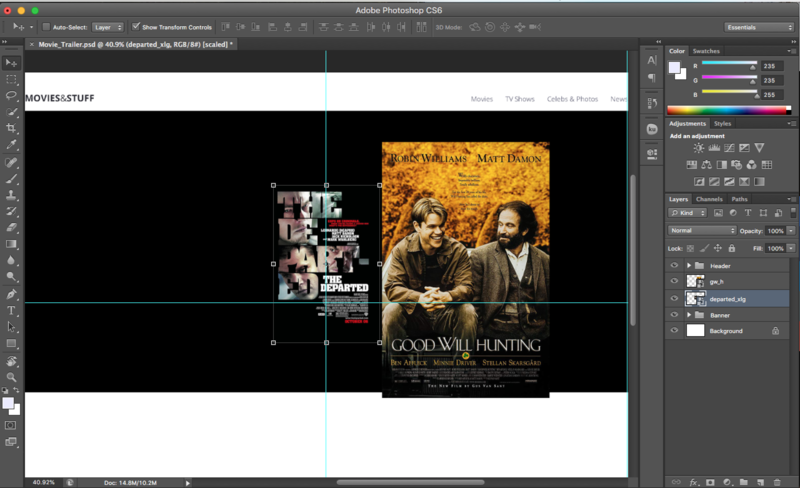 When I add .jpg photos to photoshop why don't they size proportionately? Image 1 shows up significantly larger than image 2, even though the dimensions of image 2 are listed as much bigger. Why is this happening? Am I missing something here? The images in your PSD are not normal layers, but smart objects. Obviously they have now their original millimeter dimensions which are taken from the metadata. No worry! You can scale them forth and back without losing anything from the original quality because they are smart objects. Scaling is always calculated from the original data, unsharpness doesn't cumulate. Not the answer you're looking for? Browse other questions tagged adobe-photoshop images or ask your own question. SVG looking bad in small resolution?